Part of the mission here at DroneBase is to inspire our pilots to reach new heights and explore the boundaries of creativity. Sometimes that happens by giving them access to new tools, and other times it's as simple as highlighting incredible work from around the world. With Christmas on the horizon and winter settling in, what better time to take a look through the catalog of winter aerial photography? Crisp snow, ice, pine trees and that perfect December light - what more could a drone pilot want? Our first stop is Norway's Lofoten Islands. Shot entirely with a DJI Mavic Pro by aerial photographer Ian Montgomery, this short video is a journey through some of the most spectacular landscapes in the world. The Lofoten Islands sit high above the Arctic Circle, just adrift of Norway's west coast. The scenery is ideal for aerial photography in any season, but something about the calmness of winter brings the best out of the mountains, fjords, and rugged shorelines. Cold, bleak and beautiful all at the same time; this is one of the best examples of winter aerial photography you will see. Winter drone photography isn't always focused on the tranquillity of snow-covered landscapes. It can be much more extreme than that. Take a look at the next video below. 'Ice Call' is what happens when you combine aerial photography (admittedly with a few other cameras), nerves of steel and the ice of the Mont Blanc mountains in France. One thing we love about this clip - aside from the nail-biting moves - is the way that time has been played with in post-production. Epic. Nothing says 'Winter Aerial Photography' like a mini-documentary about ice climbing. Along the Ice manages to bring together the two things we loved about the first videos: the calm, stillness of winter and that crazy human instinct to push things to the extreme. If ever you wanted a piece of aerial video to highlight just how small we are with a zoom-out shot, this would be it. First up we've got 'Flurry' from the team at Abstract Aerial Art. If you can't tell what it is, that's kind of the point. Brothers JP and Mike take drone photos of peculiar landscapes from directly above. As they say, "the point is not to work out what it is but to appreciate how weird and wonderful the world can look from above." If you really want to know where this was taken, you can get in touch and the Abstract Aerial Art team will reveal all as part of the checkout process. 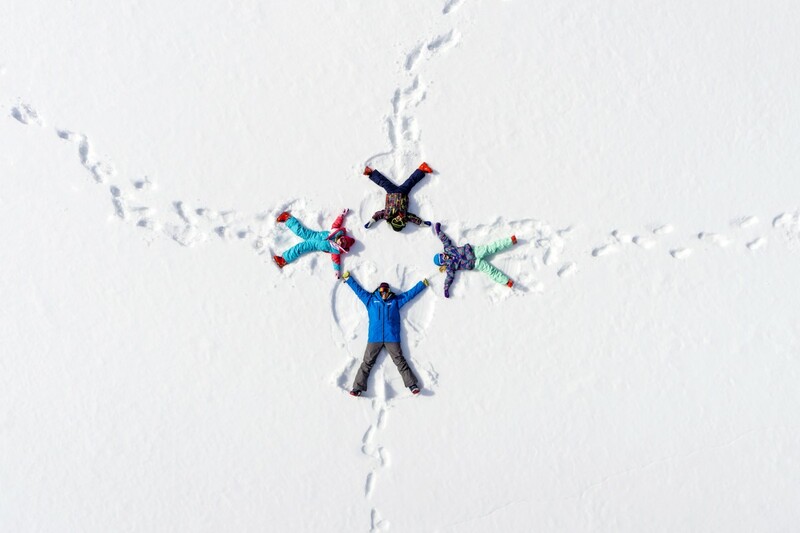 Taken by CMPhoto and uploaded onto drone social media site Dronestagram, this final picture is everything we love about Christmas: family, fun in the snow and a great excuse to put that drone to good use. 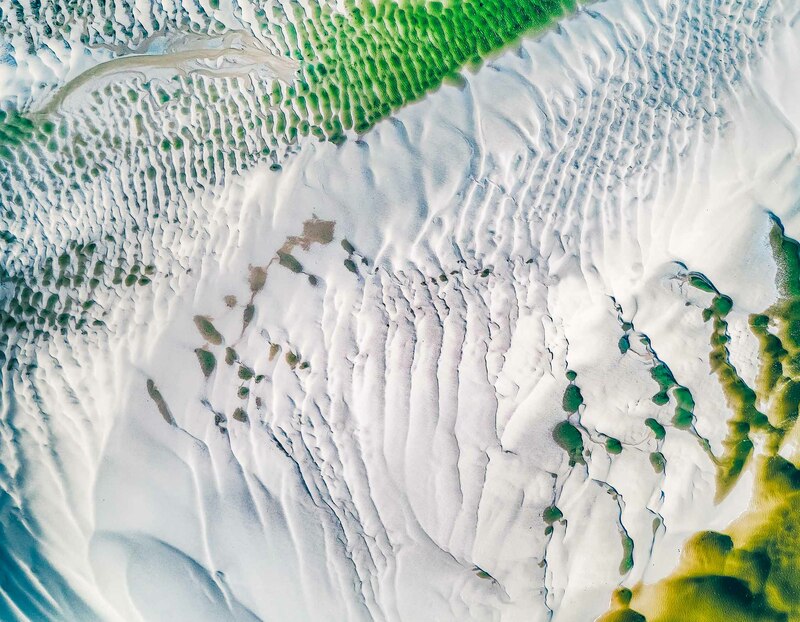 Feeling inspired by our exploration of winter aerial photography? 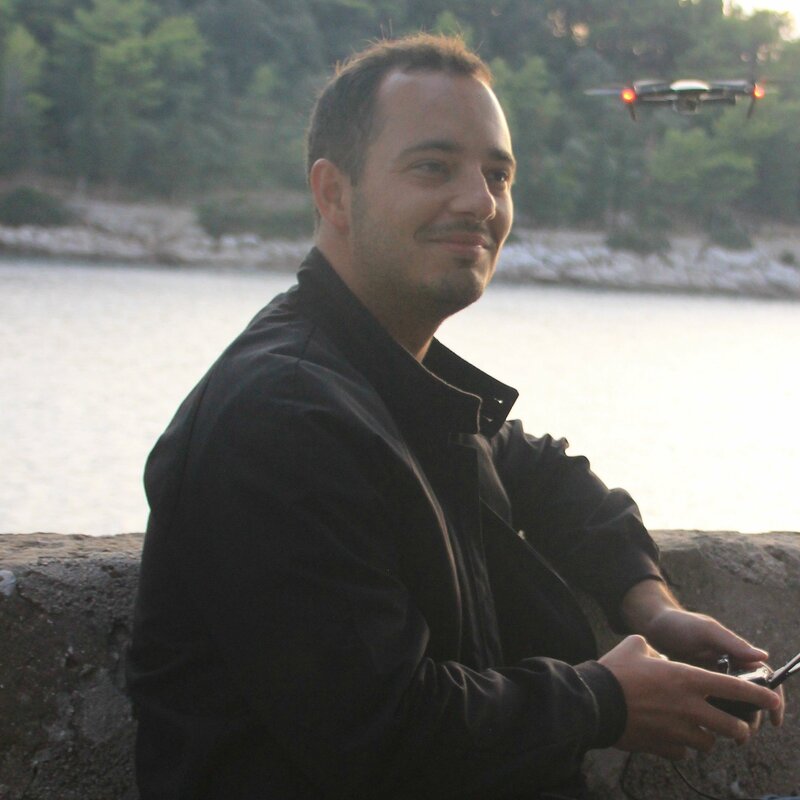 Turn your hobby into a career today by signing up as a DroneBase pilot. Already have some awesome winter aerials to share? Submit to our Getty Missions!